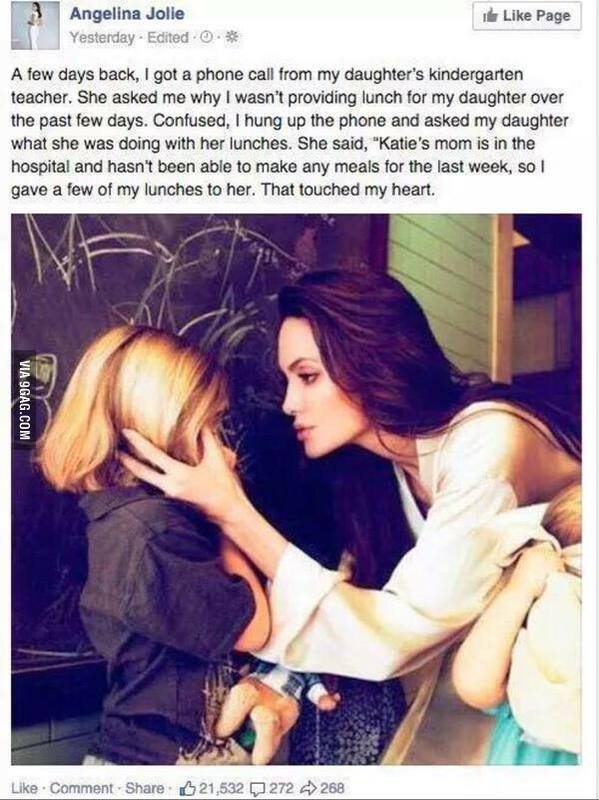 Angelina Jolie DEFINES what is GREAT PARENTING in Just 1 Facebook Post! “A few days back, I got a phone call from my daughter’s kindergarten teacher. She asked me why I wasn’t providing lunch for my daughter over the past few days. Confused, I hung up the phone and asked my daughter what she was doing with her lunches. She said, “Katie’s mom is in the hospital and hasn’t been able to make any meals for the last week, so I gave a few of my lunches to her.” That touched my heart.” – said Angelina Jolie on her official Facebook Page. This is just an example of what good parenting should look like. Maybe not all of us have money and fame like Angelina but we all have something to share. There are many who need something we have, no matter how insignificant of a thing that is for us, for them it may mean the world. Let this be a reminder to all parents to promote sharing. Teach your kids to be generous and kind, to help others in need, to think with their own heads. We are the ones who will mold the minds of the next generation. 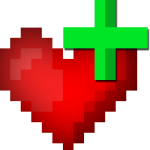 If we want to change the world we need to plant seeds of love, kindness, compassion and realism.